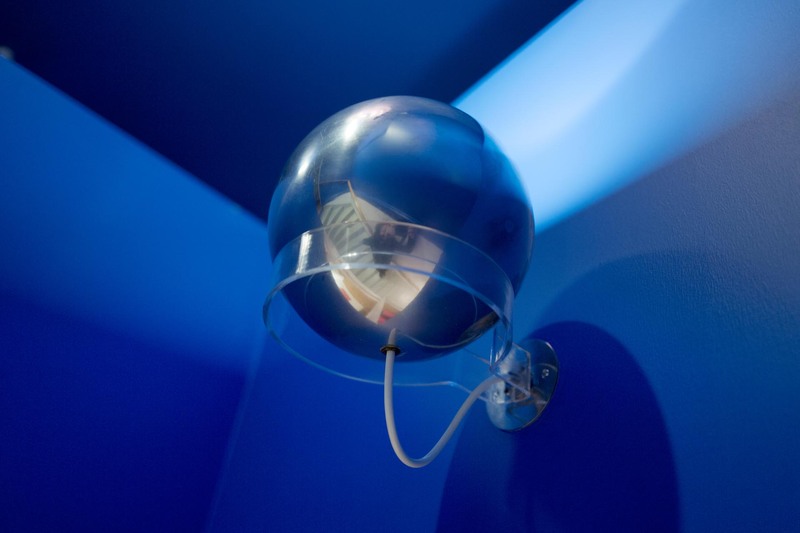 When we rebuilt our blue room I had the chance to arrange new electric connections inside the walls. Then this lamp now have a perfect spot. This lamp is one of my favorites even though it is a pretty small object. It is a prototype lamp version for the “floating system” around 1960. The Topan lamp is holded by an “invisible” plexiglass ring and the cord comes directly out of the wall. Verner gave this to a german friend many years ago. I have never seen anything like it.